It can walk :D! It can move forward/backwards and left/right, as well as rotate in place. While it's not the fastest walking gait, I'm pretty happy with how it looks. It took me a couple of iterations, so I'll go through how I arrived at the current gait. 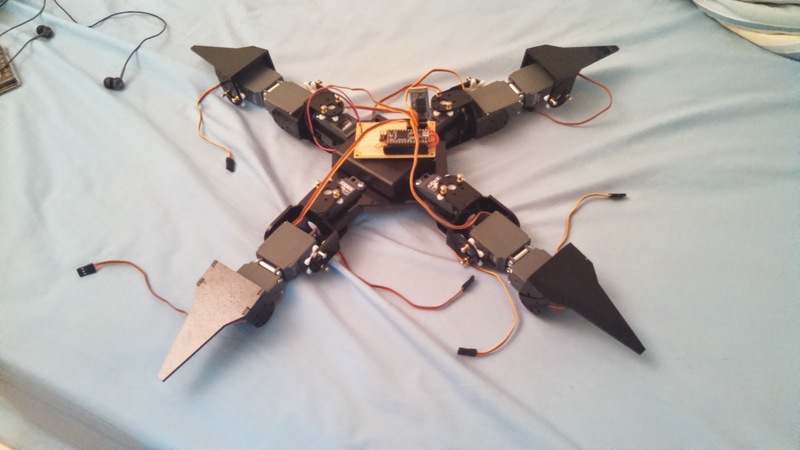 Recently, I stumbled upon a lot of quadruped/hexapod projects online, and I thought making one would be a neat project to work on. I decided to go with a quadruped both because it would be cheaper (fewer servos) and seemed slightly more challenging in terms of walking gaits.